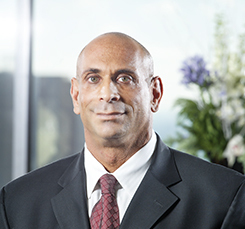 For more than 15 years, Jay has dedicated his practice to representing local, national and international clients in commercial real estate transactions with a particular focus on the leasing, management and development of retail properties, including regional malls, power centers, lifestyle centers and mixed-use projects. Westfarms Mall in Farmington, Connecticut. Representation of Moët Hennessy in connection with leasing of office space in California, Illinois, New York and Texas. Representation of Motorola Mobility in connection with leasing 640,000 square feet of headquarter office space in Chicago’s Merchandise Mart. "Risk Allocation and Force Majeure Provisions In Leases,"
"Negotiating a Rent Commencement Date,"